The world renowned artist, Gustav Klimt was born in a suburb of Vienna in 1862 to Ernst and Anna Klimt. His father worked as a gold engraver and his mother aspired to be a professional musician but sadly she never realized her dream. The Klimt family was impoverished and moved frequently in order to seek cheaper housing. Gustav Klimt, the second of seven children, could have easily faded into the obscurity of poverty, but while attending secondary school, his artistic talent was recognized by his instructors. Encouraged by a relative, Klimt took the entrance exam for the Viennese School of Arts and Crafts. He was awarded a full scholarship and began studying the Academic style of painting. 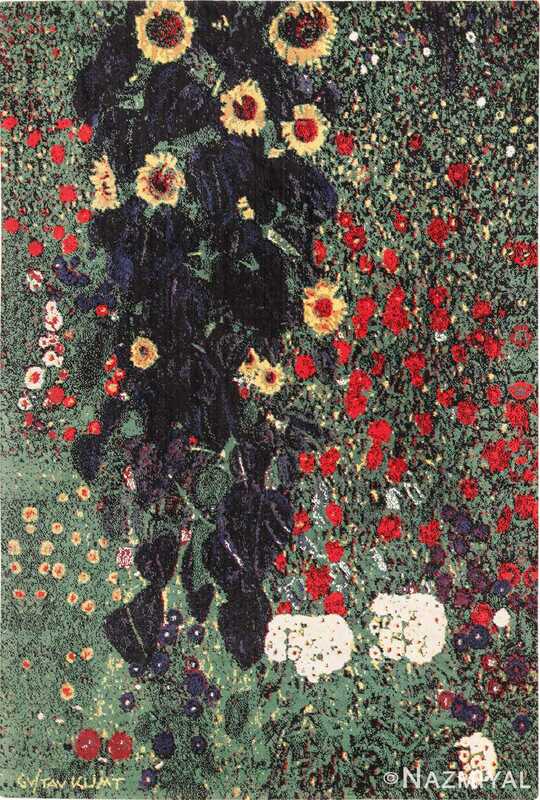 Klimt’s first ambition was to finish his education and become a drawing instructor at a public secondary school. Klimt received several commissions to complete artwork while he was still at school, and this led him to rethink his career path. After graduating from art school in 1883, Klimt worked with his brother, Ernst, and their friend, Franz Matsch. The collaboration was called the “Company of Artists” and their projects consisted mostly of commissions to paint murals on the walls and ceilings of public buildings in Vienna. During this period, Klimt still embraced the academic style of painting. He and his brother were members of the conservative Vienna Artist’s Association that orchestrated the majority of art exhibitions in Vienna at the time. The Klimt brothers and their friend Matsch, worked together until Ernst’s death in 1892; Klimt’s father also died that year, leaving Klimt to provide for both families. Klimt’s early works showcase his training in the Academic style of painting, especially art works such as Idyll and Sapho, which could, at a glance, be mistaken for pieces from the Italian Renaissance. However, after the death of his father and brother, Klimt’s paintings showed radical changes as he developed his own subjective style. Instead of reclining or passive figures, many of his subjects boldly looked out from the canvas at the viewer. These figures ooze with dynamic sensuality that was extremely daring for the time, especially considering the prudish nature of Viennese society. Even his iconic portrayal of the Jewish Biblical figure Judith, seems to have a seductive air as she gazes out at the viewer caressing the severed head of Holofernes. Klimt did not have an apprentice that was his successor in the art world. However, his influence cannot be understated. His body of work was the flagship of the Art Nouveau movement in Vienna, which rejected the Academic style, and, instead, emphasized organic and natural forms. His portrayal of figures, especially his rendering of women’s facial expressions and hair, foreshadowed the Art Deco period that became popular throughout Western Europe and the USA in the 20’s and 30’s. His work as a founding member of the Vienna Secession ushered modern art into the staunchly conservative Austrian society. Reproductions of his work have permeated modern culture and greatly influenced generations of artists throughout the 20th century.